TGIF! To say this week has been a bit on the difficult side would be an understatement. Not to mention, it has been raining here all week, and I'm definitely one of those people who are affected by the weather. I'm hoping the weekend will snap me out of my funk, and I'm looking forward to Mother's Day. Although we don't have much planned, I'm wishing for a peaceful morning with coffee in bed, then spending the afternoon hanging with my boys. What does everyone else have planned? I wore this outfit last Saturday, and am loving the 70's vibe. These jeans are actually a few years old, and I forgot that I owned them until I was cleaning out my closet last week. I mean, how cool are they, and oh yea, they still had their tags on! 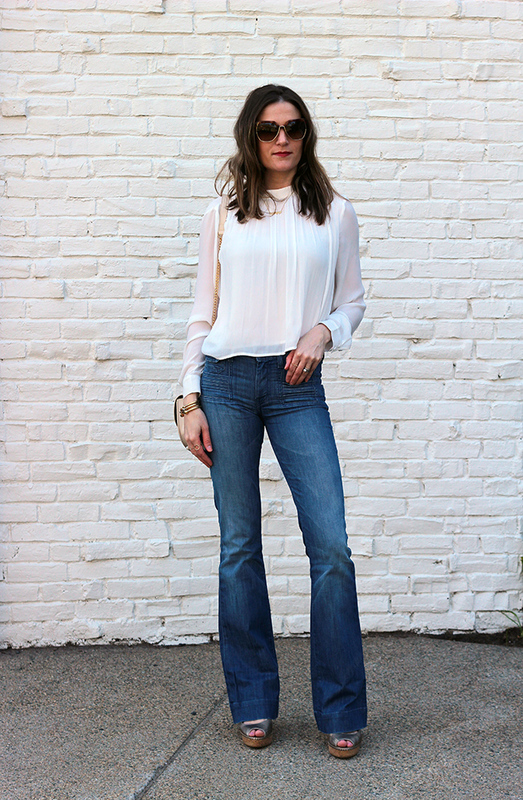 Can you believe I have never worn these flares before? All I can say is #denimhoarder. This pair is by 7 for all Mankind, and although they don't make this exact style anymore, they do currently have this almost identical pair. I paired them with a white flowy blouse (which is now sold out, but loving this tank version), and my Stuart Weitzman wedges for a look that had me, well, feeling groovy. This weeks feature blogger is Nicki from Sweet Parrish Place. I'm loving her animal print cardigan paired with her grey dress. Make sure to stop by and check out her other looks! 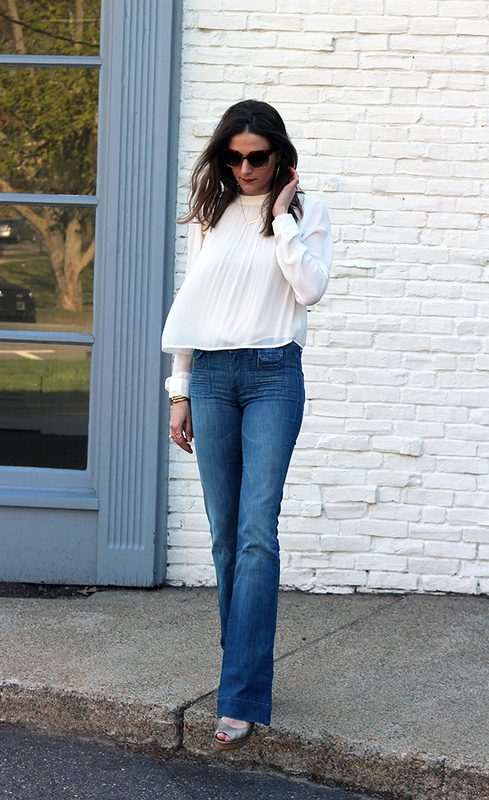 Those flares look amazing on you and your flowy top is so pretty! 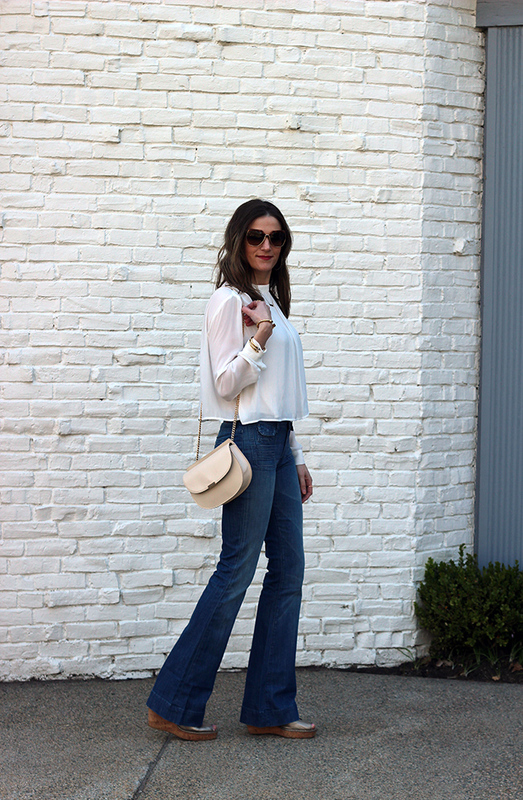 You are rocking this 70's look! I can't believe you never wore those jeans either! They look great on you. I also love the flowy top and the sheerness of it. Great combo! Great 70's look...love the jeans and shoes! Your denim collection makes me happy! I always love seeing what awesome pairs you find. These flares look awesome on you. I am always affected by the rain too. Hopefully you get some sun shine this weekend! Rainy weather definitely affects my mood too. I"m pretty pumped that it's finally sunny today! These jeans fit you to perfection. Loving those jeans on you! You're rocking that whole 70s vibe! 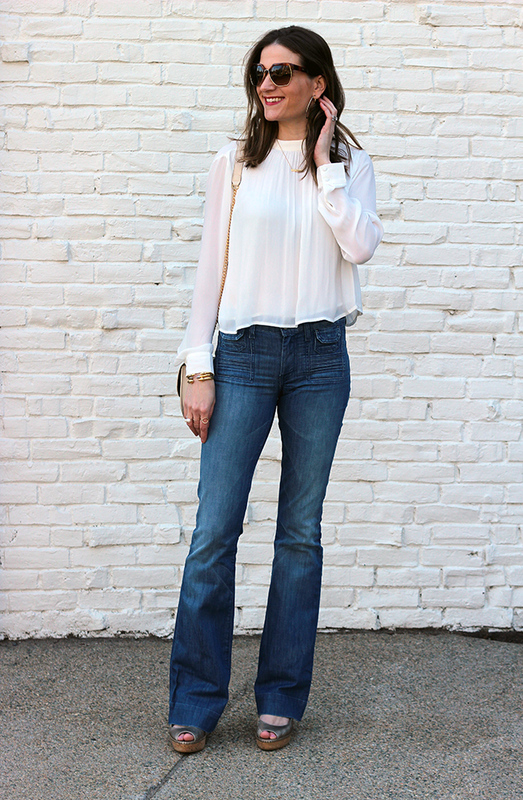 Love this top, and it looks perfect with your amazing flares! Perfect look! It's so nice to pull out something from you closet from a few years back and realize it's so on trend now! 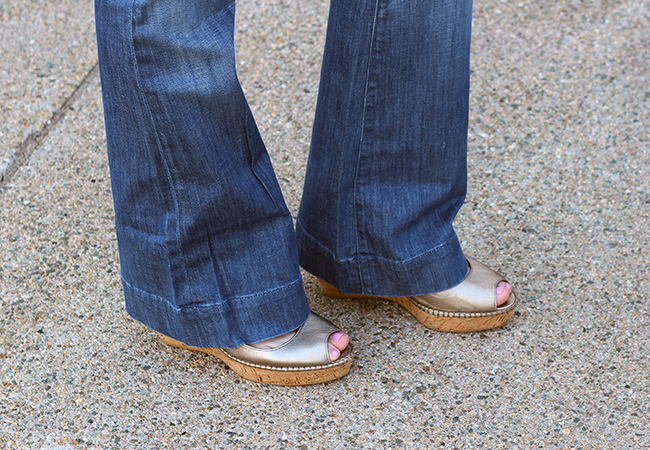 Those flares are perfect on you! such a cute outfit! I love your top! Oh I hear you about the weather! Love your look! The jeans are fantastic. I love these jeans! Just the right amount of flare. 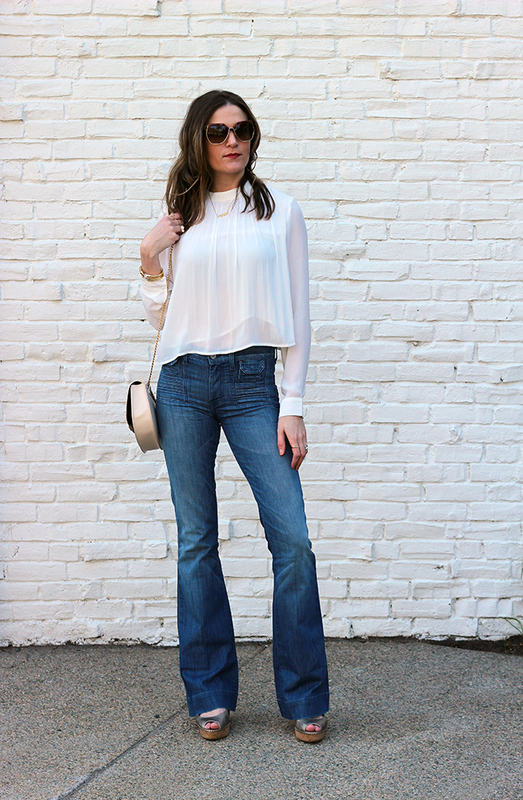 Loving these flares on you! The front pockets & details make them so 70's! Girl, you have so much style AND you look fabulous! Adore that top! You look gorgeous! Those jeans are doing wonders to you! Love this look! This outfit is absolutely gorgeous and you look stunning!! 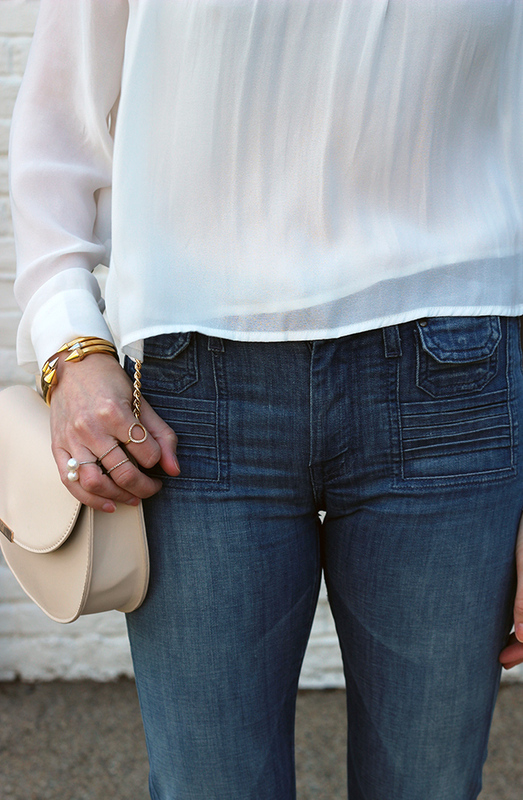 I love everything about this look, especially the jeans! Hope you have a great weekend and Happy Mother's day!! 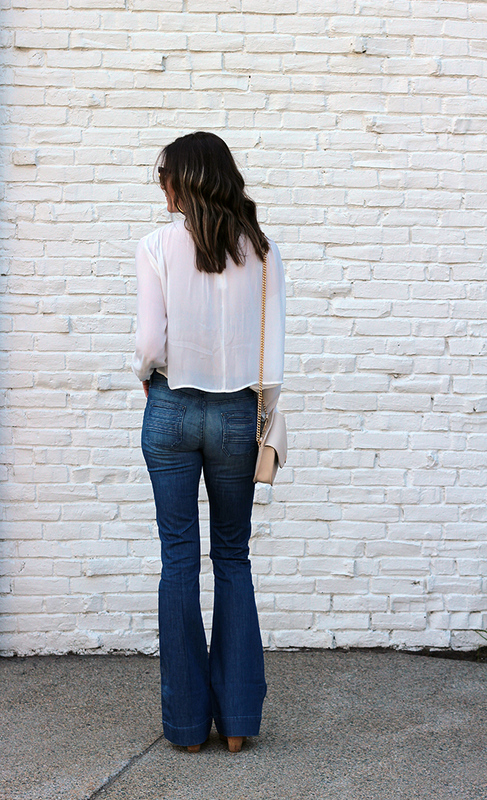 love those flared jeans! you look amazing! Oh heyyyy fabulous! You look great!